On the occasion of the 50 years since the events of May 1968 in France, the Organ of the CC of the Communist Party of Greece (KKE) "Rizospastis" (26-27 May 2018) republished abstracts of an interview with Mitsos Katsianakos (1942-2003), member of the CC of the KKE, who as a young worker had participated actively in the events of 1968. The interview had been published on 17 May 1998. Chronicling the facts, Mitsos Katsianakos said to "Rizospastis": "The May of 1968 wasn't just a student uprising and nothing else. We certainly had a student uprising, which began before May, towards the end of April and early May of 1968. 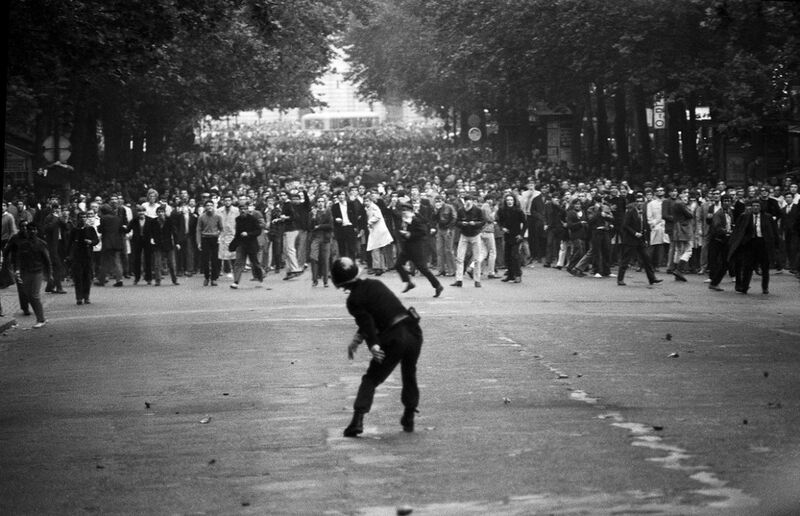 Until then we had chases and skirmishes between students and the police in Quarter Latin, at the large university outside of Sorbonne. We had night street fights, until the 10th of May. By that time-and it should be clear to all of us-no one was worried. No one could see that this May would be red, that this May would give a new dimension to the social and political life of France itself. Let me explain what I mean. 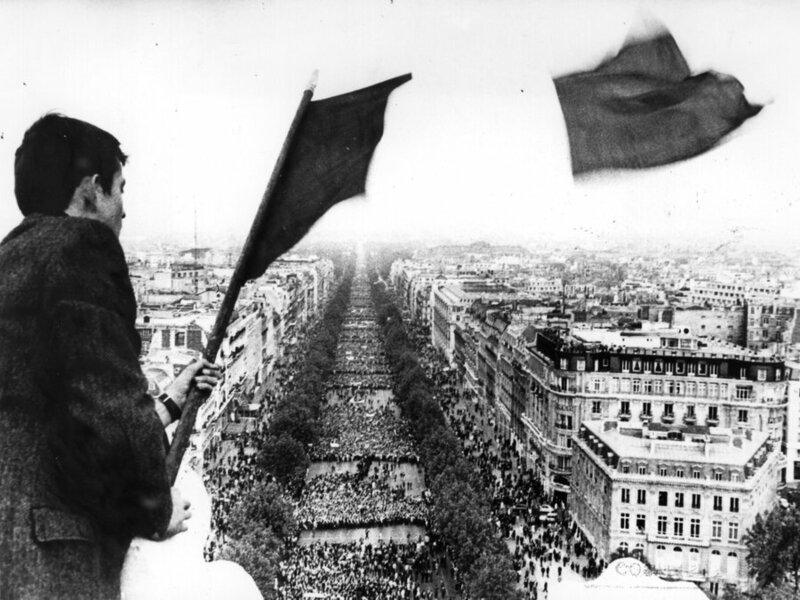 Since the 10th of May, when the Trade Unions and the Communist Party of France had called the workers to resist de Gaulle's policy, from that moment on, and then things changed dramatically all over France. Within three days, almost all of the factories in the public and private sector had been taken up. On the 13th of May, a big demonstration that had more than 2.5 million people took place. The students were not in the leadership of this protest. 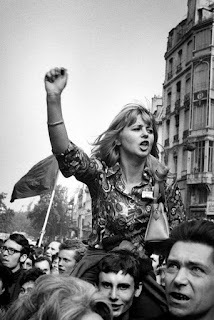 They were also students, but the leadership of the French Communist Party had the major role, as well as the unions, the CGT (...) The demonstration's main body, its force was the trade unions and especially the CGT ". Describing the ground on which the rallies and protests broke out, the KKE cadre noted that "there were many problems among the people and the students. The ways of learning in education, the teaching terms, the issue of the use of diplomas, the authoritarianism, all these and a whole lot of other issues triggered student reactions. That's where the student mobilizations started. From the existing problems, as the De Gaulle system had not made any kind of renewal, it had not refreshed anything". Regarding the working people, M. Katsianakos had referred to the then circumstances with some characteristic examples: "When I was working at Citroen in 1968, I was getting a salary of 780 French francs. After May 1968, my salary immediately reached 1,250 francs. There were problems with pensions. The pension age limit for heavy and unhealthy professions was at 65 years. After May, it became 62. There was the problem of the freedoms of the trade unionist movement in the factories. These freedoms were forbidden, but we achieved them. In other words, the syndicate had the right to call the factory workers' assembly, so that they can discuss their problems. Those didn't exist before. We achieved them then, in May 1968. "On the one side was the working class and on the other was the bourgeoisie", said M. Katsianakos and added: "I do not overlook the special role of the students, with the peculiarities that the student movement had, but when the issue is placed on the social level, you can't overlook that the clash was between the class of the workers and the bourgeois class. After all, students do not consist a separate social class [...]. Since all the trade unions, since the working class proceeded to the occupation of all factories, all public companies, banks, etc. nothing was functioning from the 10th to the 13th and the 14th of May in France. No buses, no metro, no taxis existed, no factory was working, no public service was working. The whole working class with all its power was on the streets. Then, in my opinion, seems that there was a power vacuum. " Commenting on the fact that the media have portrayed May 1968 as an exclusively student uprising, the KKE cadre noted: "The issue has also a theoretical side. They want and are trying to tell the working class today-as they were saying back then before May 1968 - that the revolutionary movement passed from the hands of the workers in the hands of the students. The views of Marcuse and others are well known. But May 1968 came and overthrew all this theory and showed only when the working class enters the battle, then the capitalist system may start shaking, because the working class is the class which claims the power. When the factories were seized, the country's economy began to dissolve. This is the first key element. I must also add that De Gaulle left France. I believe-but it is not my only opinion-that at that time he didn't trust the French army and went to bring the French troops that stationed to Germany. And these troops came to France. And they stationed in the squares. The regime could see that it was under dispute by the trade unions and the workers and knew very well that it was the workers who could take power. And the French bourgeois class didn't not only took the measures which I mentioned before. It regrouped in a very short time and made the long march on May 29th. They are almost two hundred and fifty thousand people that the bourgeoisie brought in the streets at that day, under the central slogan "Freedom at Work". What was the meaning of that? Do not occupy the factories, do not occupy the labour places, let us work. In other words, the bosses, those who were exploiting the workers, were demanding to work. For those persons who were subsequently highlighted as "protagonists" and "symbols" of May 1968, comrade Katsianos was pointing out: "I read in reports, I hear on TV about "Red Daniel" "or "Red Danny" - depending on what everyone calls him. He was never red. The man was an anarchist. He never said he was red either. And on Sorbonne's flagpole there were no red flags. The flags were black. In the other places he couldn't control the flags were, of course, red. So we can't talk about "Red Danny or Daniel". My opinion is that with the current situation and the difficulties that the working people are facing, they are trying to persuade the working class that nothing actually happened on French May. I think they are doing their job and, from the point of view of their interests, they are doing so correctly. They don't give the true dimension of May 1968. They give a dimension of student mobilization, which of course existed and was a contribution to the struggle, but the catalyst for the developments was the intervention of the working class with what I told you earlier. I must point out that the main demand that workers had in the first few days was socialism, the overthrow of the social system..."